At least a couple of times every week for the last six months I have been asked pretty much the same question everywhere I go. Whether I’m at a conference or event, networking, or doing an interview or podcast, everyone wants to know how we took Relevance – the world’s first digital magazine solely dedicated to content promotion, news, and insights – from zero subscribers upon launch in June of 2014 to over 50,000 six months later. There’s really no simple answer to that question and I’ve hesitated to just give tidbits away for fear that people will think just a few tactics will catapult their subscribership into the stratosphere. The real answer to that question truly boils down to a lot of hard work by a lot of passionate people. This is the first time I’ve done a comprehensive write-up of exactly what the Relevance team did that helped take the site to an industry destination in a short time. It wasn’t easy, but it’s our hope you can take the lessons we’ve learned over the last 12 months and figure out ways to integrate them into your content marketing. The presentation below sets the stage for why we launched a digital magazine, in general, why the focus was on content promotion, and how we made it successful. This deck is filled with GIFs. To view them you must download the presentation and open in full presentation mode – http://bit.ly/1Qp4GMA. The agency founders and I asked this simple question, “Why should we just buy and earn media when we can be the media too?” It’s hard to “be the media” when you have one of the thousands of agency blogs touting how cool the agency is all of the time. We wanted to remove the self-serving agency perception from our content and build a vibrant online community around strategy and promotion. We decided to shed the indirect revenue model of a blog and launch a real digital magazine that had its own direct channels of revenue. This decision wasn’t made in a vacuum. 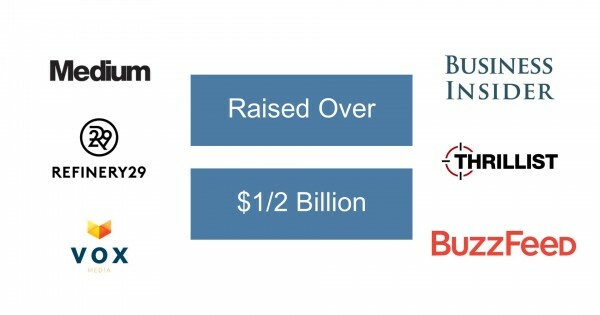 Media companies have been the new “cool” investment for venture capitalists for the last several years. While traditional media has struggled to monetize its online presence, many tech entrepreneurs with their new media properties are wildly successful at driving revenue. We considered ourselves cut from the same entrepreneurial-tech cloth and figured that if they could do it, we could too. After all, we weren’t traditional media folks. We were tech marketers who were passionate about helping others overcome their content visibility challenges. Since the launch of Relevance last year, I’ve been fortunate enough to get my hands on a few new-media VC pitch decks. It’s amazing the capital that can be raised when a site has an audience. Several of these sites had even fewer subscribers than we did and they were raising millions of dollars. This will take forever to get off the ground if it does at all. The marketing vertical is too saturated with content. These were my two biggest fears. I knew they would be very difficult to overcome, but not insurmountable. We took everything we had learned about content marketing strategy and promotion since 2006 and decided to launch a digital magazine that people didn’t know they needed. Call it a leap of faith, a gamble, or what have you, our instincts told us we could and should do it. 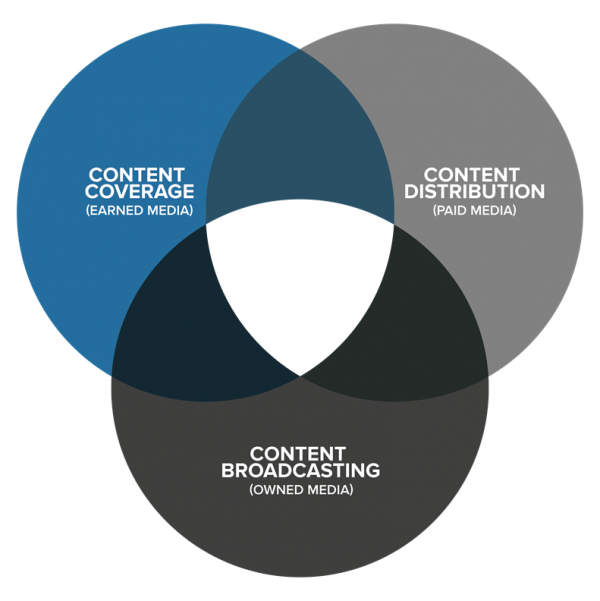 In general, our overall marketing strategy was to create a convergence of earned, paid, and owned media content promotion. We spent more time on promotion than on content creation itself. We not only believed content promotion was the cure for most marketers’ online visibility woes, but knew it would be critical to our own success as a digital magazine. We espoused these beliefs in the content we created, curated, syndicated, and promoted. At the time of the launch, I didn’t have the tactics (detailed below) spelled out on some road map. It’s hindsight that empowers me to share these lessons with you today. These tactics worked for us and can undoubtedly work for most others, too. Nothing was easy, but it’s all doable and success is achievable. If we can do it, so can you. Here’s how we sought to build a brand and convergence of media promotion channels. Everybody hates pop-ups, right? Of course they do, but they work. Don’t take my word on it, just ask Google – you’ll find dozens of tests and studies that say they do. Everyone who visits Relevance is asked to subscribe. We also created a turnkey way for individuals downloading guides, e-books, and studies to simply click a box on the form to subscribe. 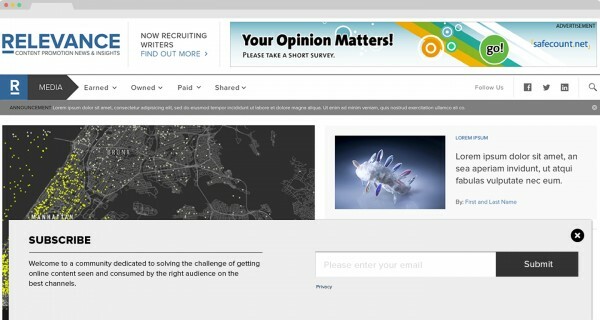 Shortly after, we implemented BrightInfo to recommend related content to our visitors. This initiative kept them on the site longer – improving the chances of opting into a subscription. This popular tactic was baked into our digital magazine out of the gate. We recruited as many contributing writers from the digital marketing industry as we could. In fact, recruiting was someone’s full-time job. 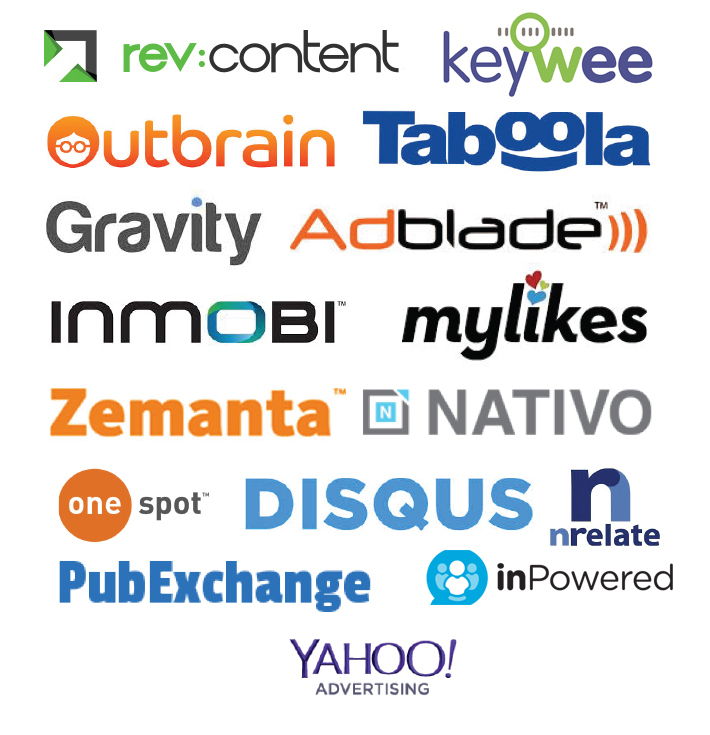 To date, we’ve had over 200 contributors create content for Relevance. Some of these contributors are considered A-listers and have large pre-existing audiences. In addition, many tech-marketing CEOs and founders have been recruited to share their thought leadership. We also sought up-and-comers who were hungry to make a name. They saw Relevance as an opportunity to do so and took full advantage of it. Every contributor, and the brands they represent, have a vested interest in seeing their content succeed. Therefore, most of them promote what they’ve written to their audiences in a variety of ways. Here’s something we learned by complete accident – when you write about content-promotion tools and networks, those brands will promote the hell out of it. 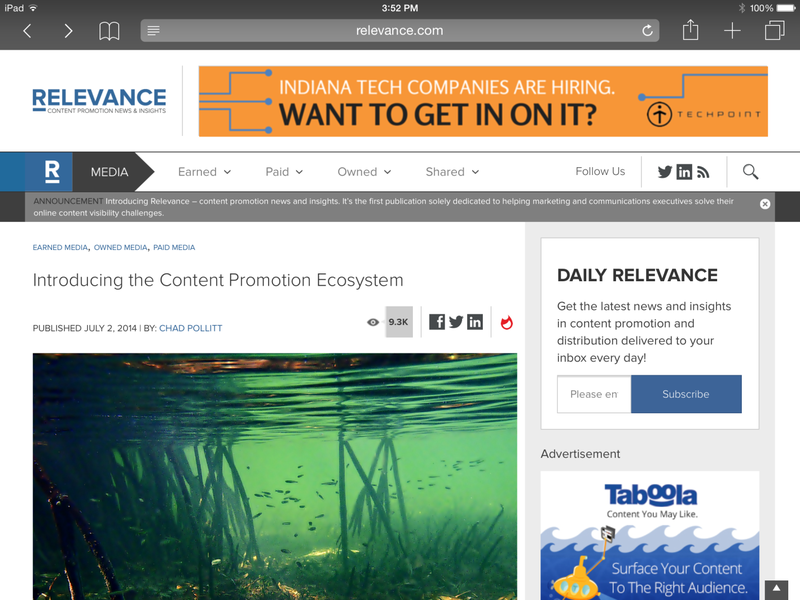 Take Introducing the Content Promotion Ecosystem. It’s been viewed over 10,000 times and shared more than 4,000 times. Why? Because it features 34 content-promotion tools or networks, many of which amplified the article using their own proprietary means. You could say, ironically, that we didn’t just earn media, we also earned paid media. Add the fact that the entire digital magazine features different promotion tools and networks all of the time – that’s what we cover. The brands featured constantly amplify our articles, giving us access to a much wider audience. Most people don’t know this, but I create more content for other websites than for Relevance itself. Whether I write for CMI, Huffington Post, The Guardian, or Social Media Today, it seems counterintuitive to most, but it’s deliberate. Every time I write for another website I bring new subscribers to Relevance. 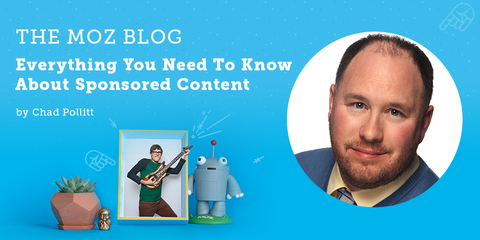 This post on Moz, Everything You Need To Know About Sponsored Content, is an example of an article written for a different audience with the intent of driving agency leads and magazine subscribers. It was nearly 4,000 words and included results from six months’ worth of research. When we publish for a different audience, we generally try to go above and beyond what they expect in order to impress them. This one article garnered so much attention it drove nearly 2,000 conversions and hundreds of new subscribers. It was even featured on CMI’s own PNR: This Old Marketing podcast. We also have syndication relationships with six websites that have our permission to republish our original content on their sites. This gives us even greater audience access and over time helps drive incremental subscribers. Lastly, I rarely shy away from influencer marketing pitches, interviews, or podcast invitations. Each one is another opportunity to talk about Relevance in front of an audience that may not know about us yet. We usually get hit up two or three times a week so the time investment can be significant. However, the rewards are more subscribers. Traditional online paid media is a $100-billion-a-year business. There’s a good reason why these budgets are moving to native. Banner blindness runs rampant and the overall effectiveness of the older means are diminishing as content production moves up the funnel. If we were going to be the trade publication for all things content promotion we needed to understand, write about, and deploy this dynamic. We’ve conducted many native advertising experiments to help amplify and promote our content at scale. In fact, our experiments have included more than 30 networks, channel partners, and service partners. We’ve discovered that working with a third party that has negotiated rates with many networks can drive down costs considerably when you have limited staff to manage and optimize campaigns. However, between the co-founders of the business and the brand itself, our total organic social media reach is over 100,000. Because of this, we regularly broadcast all of our daily content on Twitter, LinkedIn, Facebook, and Google Plus, resulting in 2,000 unique visitors per month. Email marketing falls into three categories for Relevance – list rental, subscriber emails, and everything else. As mentioned, we had a subscribership of thousands prior to launching Relevance. We systematically marketed to those individuals over time and got many of them to opt in. I know what you’re thinking – that’s great, Chad, but we don’t have several thousand email addresses. That’s where list rental (or borrowing) comes in. I’m not suggesting you go buy a list. That would likely be a miserable failure anyway. However, if you can get someone else or a brand with a significant audience to write a native email encouraging its audience to subscribe (or download something for lead generation, if that’s your thing) you can see huge spikes in analytics. If you pay them it is considered a rental, but if you trade emails it is considered borrowing. 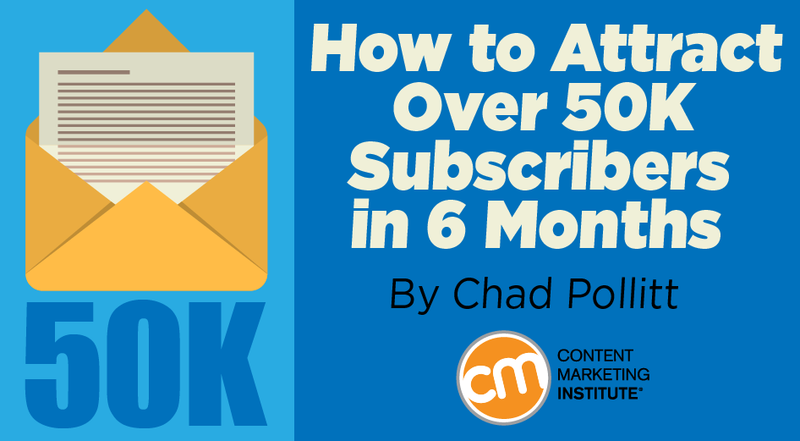 This tactic is one of the most impactful for quick audience-building. However, the key to success is the word native. A banner ad or sponsored text link won’t likely drive the results you seek. Lastly, I personally write our weekly newsletter and try to include real insider information that isn’t floating around the marketing echo-chamber. It’s not easy, but I somehow manage it. Based on the feedback, it strikes a chord and gets passed around to other non-subscribers. Many of those folks drop by and subscribe. Prior to launching Relevance, I didn’t seek speaking opportunities. I’d get about four or five invitations a year to speak, and that was just fine. However, I knew that I’d have to get out and onstage much more to tell as many people as possible about Relevance. You’ll start seeing me at a lot more events this year if you haven’t already. I do a quick sales pitch as to why everyone in the audience should become a subscriber at the beginning and end of every presentation. I also recruit content contributors at every event and networking function I attend. Many of the folks I try to recruit become subscribers. This is one of my favorite tactics and one of the first things I learned in sales back in 1999. From the day of launch our goal was to make Relevance look like it had been around a long time. We wanted people who saw it for the first time to say, “Why didn’t I know about this?” This was accomplished in a few different ways. First, I’m not embarrassed to say, the wireframe itself was modeled off TechCrunch. What better way to look like an established online publication than to look like an established online publication? We certainly didn’t want to look like a blog anymore. Based on the feedback, it worked. People in the industry generally got what we were doing. Next, we wanted to align the Relevance brand with well-known industry brands. Rather than trying to sell banners, ads, and sponsored content for a site that wasn’t live, we gave them away the first eight months. Google AdSense was briefly considered, but we wanted total control. Lastly, we invested heavily in a killer domain name, relevance.com, and acquired many of the subsequent prudent social handles. This actually took months and required lots of negotiating, but it paid off by helping us look like an established digital magazine. While I’d like to tell you that we did months of research to determine that content promotion (earned, paid, and owned) was going to be the next big thing, I sadly can’t. We relied on decades of combined experience in the industry while truly dissecting the root causes of the problems our agency’s customers and prospects were having. With the old ways of SEO quickly going by the wayside, organic social media visibility shrinking, and banner blindness worse than ever, we knew that marketers and communications professionals needed help with strategic content promotion. This one decision, out of everything mentioned, was the most critical in driving subscribership to where it is today. You can call the timing of it luck, but the niche focus was chosen because we listened to the marketplace and aimed to solve its problem by giving it Relevance. Don’t be afraid to take chances (even when everyone else says you’re crazy). 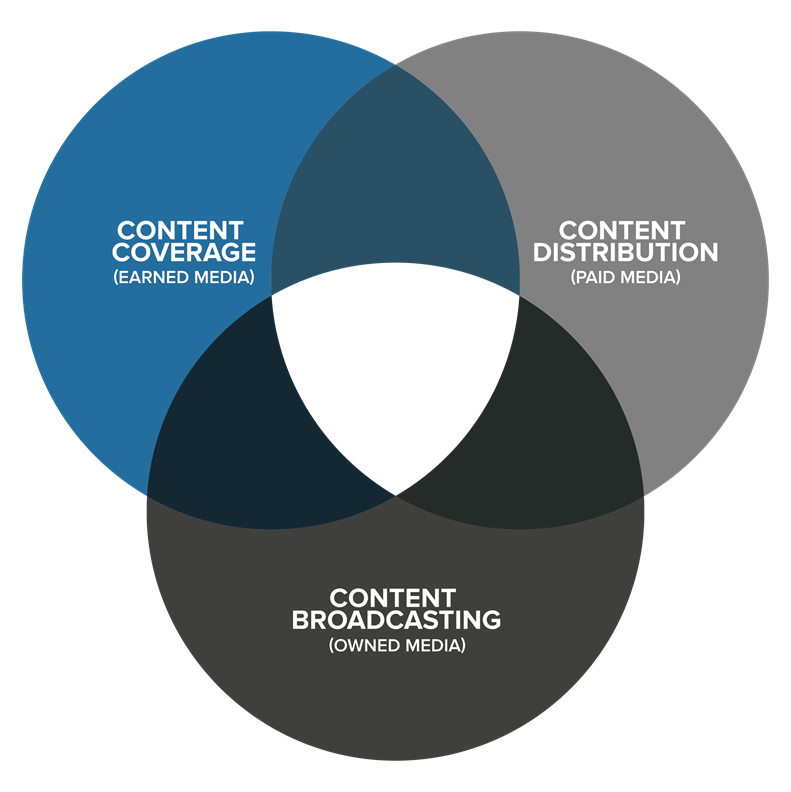 Spend equal or greater time and resources strategically creating a convergence of the content promotion channels, as opposed to just creating and publishing content. Make sure you focus on a niche that isn’t saturated and makes sense for your brand. Whether you go the route of a digital magazine or decide to roll with the tried-and-true blog, these takeaways, if executed properly, will help drive the traffic, subscribers, conversions, and customers you seek. Want to learn more about how to create a successful content marketing program? Start with two free e-courses on best practices as part of CMI’s comprehensive Online Training & Certification Program, which contains over 19 hours of must-know strategies, tactics and best practices, delivered by leading experts. Sign up now. Chad Pollitt, a decorated veteran of Operation Iraqi Freedom and former US Army Commander, is the Co-founder of Relevance, the world's first and only website dedicated to content promotion, news and insights. His latest project, The Influencer Marketing Playbook is available for free download. Follow him on Twitter @ChadPollitt.